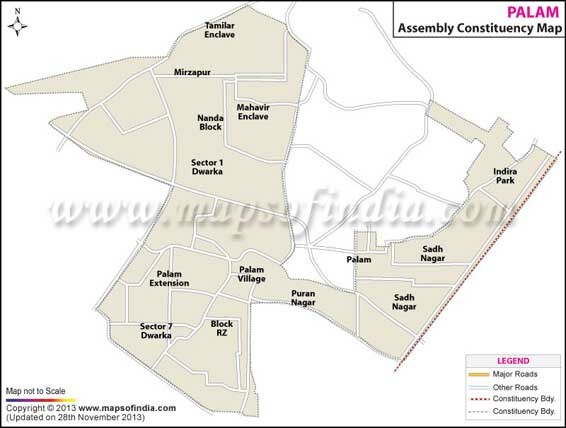 Palam is one of the seventy assembly constituencies of Delhi. It falls under the South Delhi parliamentary constituency. The constituency has been a BJP bastion since 2003. 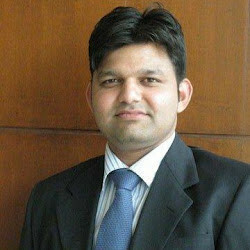 Dharam Dev Solanki is the sitting MLA of the constituency. Solanki defeated Bhavna Gaur of AAP in the 2013 assembly elections with a margin of over eight thousand votes. Map showing the different localities of the Palam Assembly Constituency. Below is the list of winners and runners-up in the Palam assembly elections conducted so far.